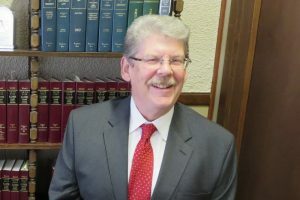 Mr. Berry K. Tucker graduated Loyola University of School of Law in 1972 and was hired as assistant counsel to the State of Illinois Department of Mental Health. 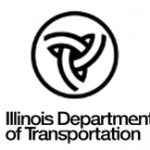 This position was followed by several years as Assistant Chief Counsel to the Illinois Department of Transportation, where he served as an Administrative Hearing Officer for the Departments’ Lake Michigan Water Allocation Section. Mr. Tucker followed that by his appointment to the National Railroad Adjustment Board, where he served as both a carrier member and Chief of the Fourth Division. Mr. Tucker then co-founded Berry K. Tucker & Associates, Ltd. in Oak Lawn, IL in 1978, in cooperation with an adjunct professor of law at the Illinois Police Training Institute and an Assistant Public Defender for DuPage County Illinois. The family law firm eventually grew to 8 offices located throughout the Chicagoland area. Mr. Tucker also has served as a member of the Park Forest Youth Commission, the Village of Flossmoor Water Commission and as Board President and General Counsel of Aunt Martha’s Youth Services Center, an area wide provider of health, medical, and social services throughout northern Illinois. 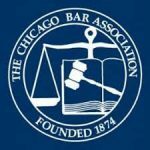 He is also a member of the Chicago Bar Association. For more information about Berry K. Tucker, call Berry K. Tucker & Associates, Ltd. at 708-425-9530 in Oak Lawn, IL or e-mail berry@bktuckerlaw.com. We look forward to speaking with you soon!